Islamabad, Dec 19: Underlining the need to be more serious on the issue of environment, Pakistan Prime Minister Shahid Khaqan Abbasi today said the recent prevalence of smog should serve as an "eye-opener". He said climate change issue has become one of the biggest challenge for the mankind and has united the international community for action against its possible fallouts. "Pakistan is fully cognizant of its commitment towards the challenges of environment and was effectively dealing with the phenomenon of greenhouse effect," Abbasi said while addressing the Science Policy Conference on Climate Change. Pakistan had only 1 per cent of the greenhouse footprint, he was quoted as saying in an official statement. During this winter season, large swathes of Pakistan's Punjab province remained engulfed in toxic smog, especially Bahawalpur, Multan, Okara, Pakpattan, Chiniot and Faisalabad. Several domestic and international flights were badly affected in Pakistan's Punjab province due to smog and heavy fog which brought the visibility level to around zero. The situation forced Pakistan's Punjab province Chief Minister Shehbaz Sharif to write to his Indian counterpart Captain Amarinder Singh to strike a "regional cooperation agreement" to tackle smog and pollution that has affected people on both sides of the border. At the conference, Abbasi said Pakistan fortunately has a very clean energy niche with 50 per cent of its primary energy coming from gas and another 20 per cent from hydropower and other renewable resources. Stressing that Pakistan has a zero import policy for furnace oil, Abbasi said that the power houses in the country are running on imported liquefied natural gas. He also expressed confidence that in the near future, the country's power plants, running on furnace oil, would be using alternative fuel as it would mitigate the negative effects of fuel. Pakistan was already utilising the Euro-II diesel and petrol, he added. 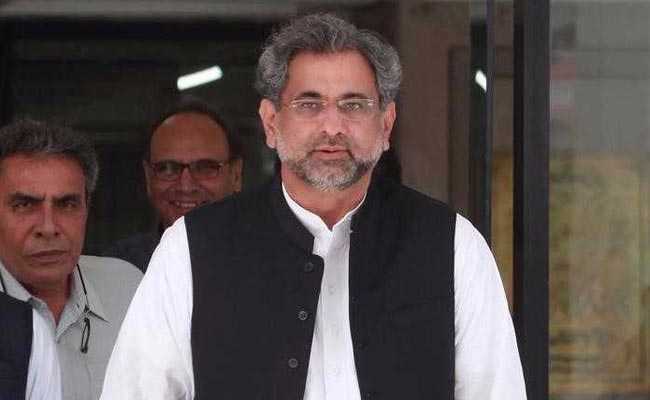 Abbasi said Pakistan has a National Environment Policy and the government has allocated eight per cent of its budget to fight the effects of climate change. He said that Parliament has also taken action and paved way in setting up of the National Climate Change Authority and the National Climate Change Council. Stressing that investment in reduction of climate change effects was important being the global citizens, Abbasi said, "Pakistan had ratified the Paris Agreement on Climate Change in 2015 and was following the principles therein to reduce the greenhouse gas emissions by 20 per cent.